On February 11th, on the feast of Mary of Lourdes, the Church celebrates the 27th World Day of Patients under the slogan "You Received Freedom; gift "(Matt. 10: 8). Calcutta (India) is the city chosen by Pope Francis for the solemn celebration of the day, since the mother of Theresa of Calcutta, who helps us to understand that the only measure of action must be free love for all, without distinction between language, culture, nationality or religion. " 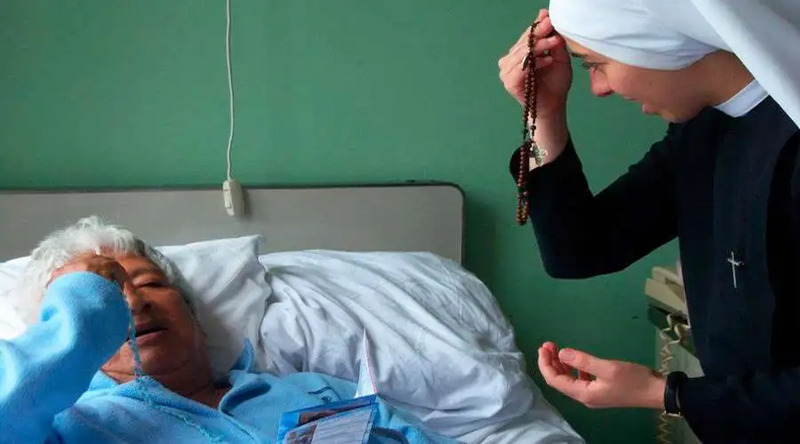 "His case continues to lead us to opening up the horizons of hope and hope for humankind, which needs understanding and tenderness, especially those who suffer," added the Holy Father in his message on the 27th World Day of Patients. "The human prize is the quota of volunteer work, which is so important in the social-health sector and which spiritually live the spirituality of a good Samaritan," he said. In this regard, the Catholic medical structures have been called upon to live the "dimension of rewards" because "the logic of the gospel qualifies their work in the most advanced areas and the most disadvantaged in the world." "Catholic health care institutions should not fall into the trap to initiate business interests first, but protect the care of a person instead of the benefit," he warned. Pope Francis entrusted the faithful to Virgin Mary in order to help us share the gifts that we received in the spirit of dialogue and mutual welcome, to live as brothers and sisters, paying attention to the needs of others, to find a generous heart in order to learned the joys of selfless service, "he concluded.